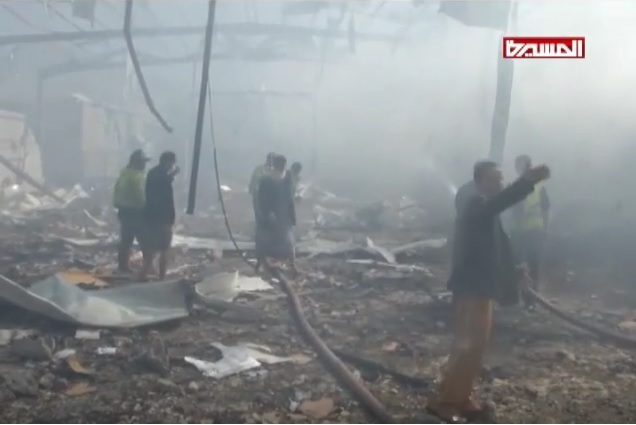 On the morning of 25th October, the Saudi led coalition airstrikes targeted a food warehouse located in Sanaa, Road 45, in a residential neighbourhood. The warehouse burned to the ground along with all its food contents. The bombardment also destroyed nearby homes, shops, cars and damaged the Naser Specialist Hospital where 10 patients were injured. 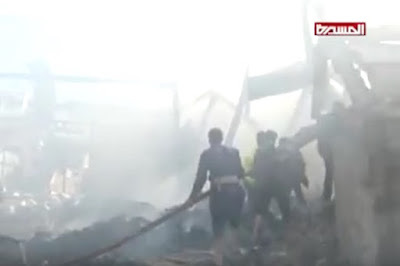 The video below reports that the loss of the warehouse is devastating to traders as well as to consumers, who already suffer from food shortages due to the Saudi blockade. 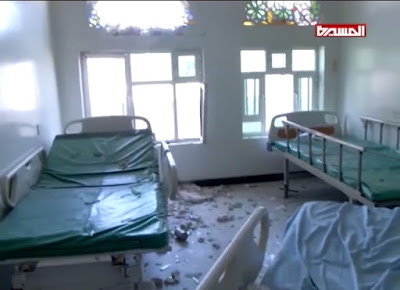 A few meters away from the warehouse, Naser Specialist Hospital suffered similar damage to its Surgery wing, Intensive Care Unit, and Emergency center. 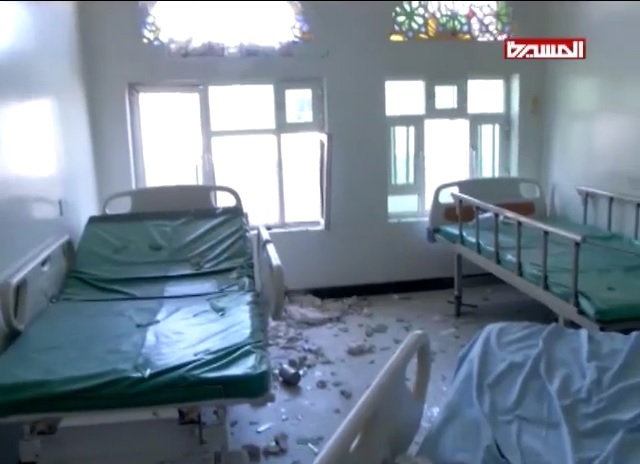 In brief, all facilities and their medical equipment were destroyed. 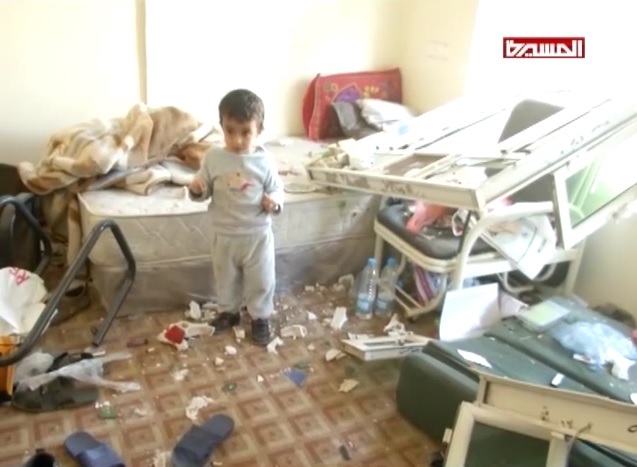 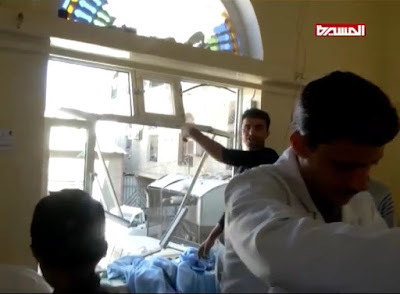 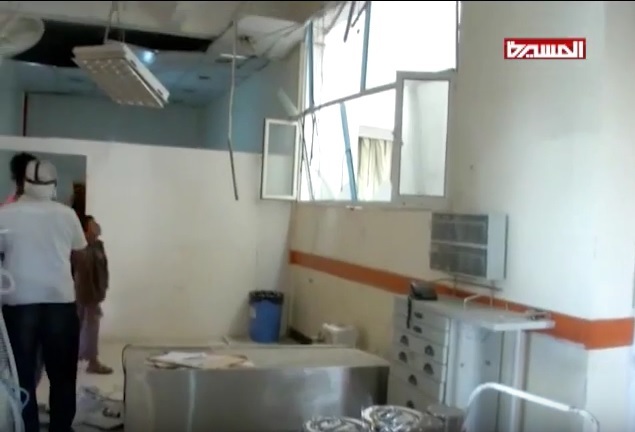 Ten patients were injured and had to be transferred to hospitals in the capital Sanaa. 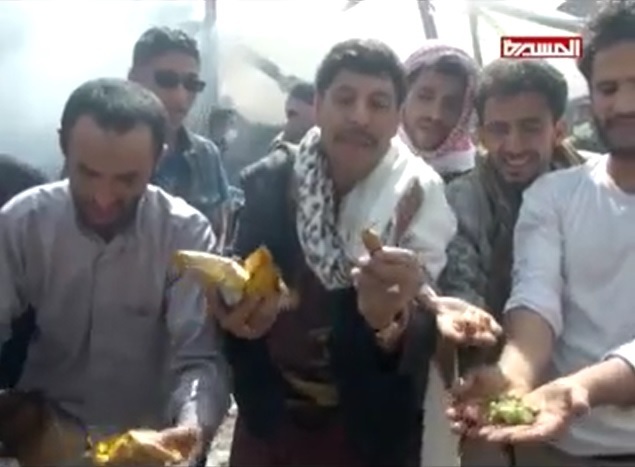 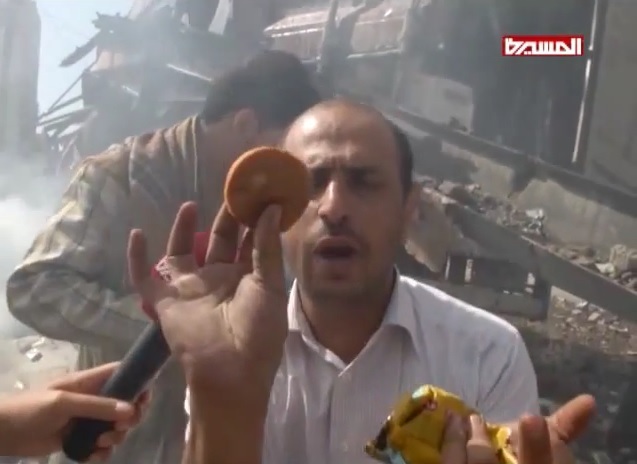 Civilians cried angrily in response to the destruction of the food warehouse, as seen in the video, holding packets of the damaged food of children’s sweets, cakes, and potato chips. At the hospital, doctors pointed at the damaged equipment and patients’ x-rays. 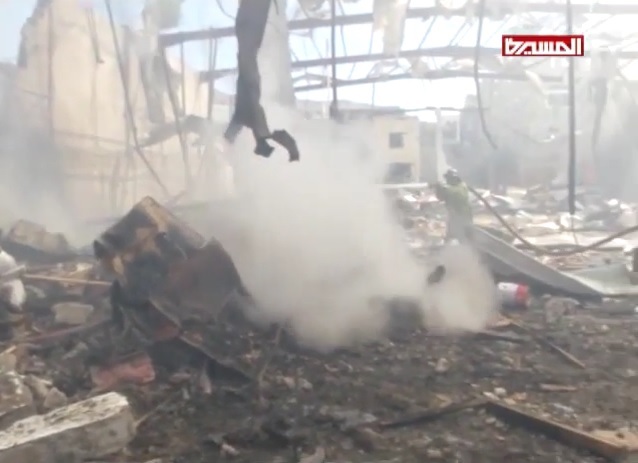 They are saying that Saudis are hitting randomly, targeting civilians and their basic means of survival.